冉浩, 周善义. 2013. 中国蚁科昆虫名录——蚁型亚科群（膜翅目：蚁科）（Ⅲ）. 广西师范大学(自然科学版). 31(1): 104-111. Chen ZL, Zhou SY. 2018. 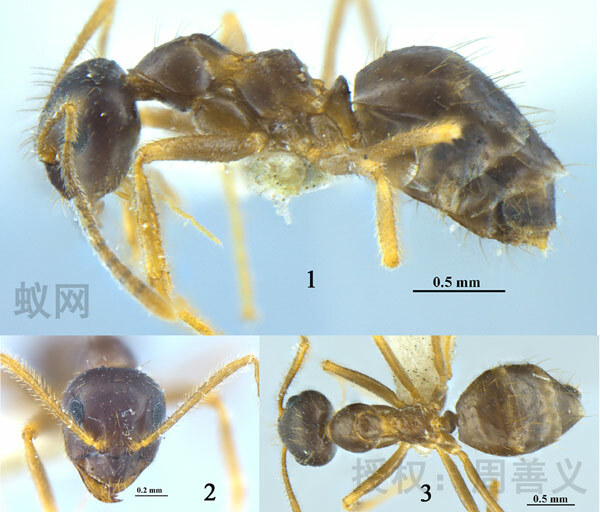 A review of the ant genus Prenolepis (Hymenoptera:Formicidae) in China, with descriptions of four new species. Zoological Systematics. 43: 58–65.